With image stabilization There are 2 products. 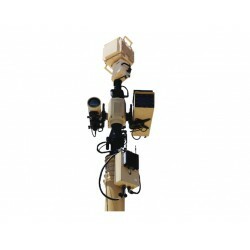 The RVision Remote Surveillance System (RSS) provides a mobile, self contained and integrated 360° surveillance system which can be rapidly deployed and delivered by a wide range of vehicles. 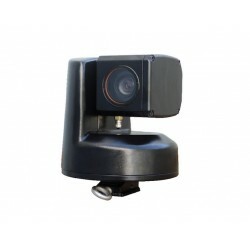 The SEE HP is a hardened pan/tilt/zoom camera providing nearly silent operation while offering continuous rotation and improved repeatability for preset and go-to targets. The same rugged construction delivers long life performance in harsh environments such as continuous salt water spray or blowing sand.